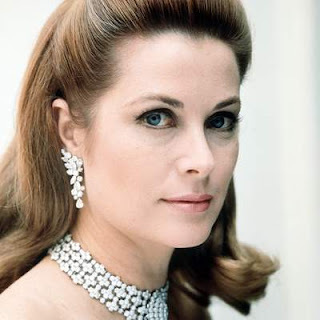 It was today in 1929 that Grace Patricia Kelly was born in Philadelphia, Pennsylvania U.S.A. to John Brendan Kelly and Margaret Katherine Majer Kelly. Surprisingly enough, as a child she was rather the oddball in the athletic Kelly clan, being a bit on the frail and sickly side, even considered something of an 'ugly duckling' by some. Fitting then that her last film should be "The Swan" before she went on to become the Princess of Monaco. I never met the princess but as a child she always exemplified a woman who was lovely,talented,kind and always the most dignified person in any circumstance. She still is greatly missed. Lovely photo (of course photos of Grace usually are!). Might you post more on her early life and upbringing? Most beautiful woman ever: She's style, class, surpassing beauty and matchless grace like her bery name.